Charges were dropped against the whistleblower in the improper trapping of the last American jaguar, Macho B, which lead to his 2009 death. AZFGD proclaims its innocence. Again. Though supposed employee present never found. 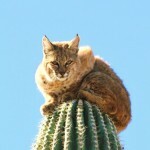 An Arizona bobcat climbed a 45-foot suguaro cactus to escape a mountain lion, then stayed perched for 6 hours before jumping down. Arizona officially documents a live ocelot–the first time since 1960. Hundreds of miles from the tiny TX population, it probably wandered in from Sonora. 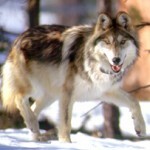 50 Mexican wolves survive in NM and AZ, up from 42 last year, despite an effort by ranchers to sue and shoot them off public lands. 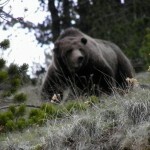 AZ company invents high-tech taser for attacking grizzlies; shoots 35 feet. TN and AL get new crayfish species. 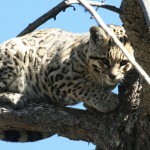 Rancho El Aribabi, a conservation ranch about 30 miles into Mexico, is working with Sky Alliance to save local wildlife. 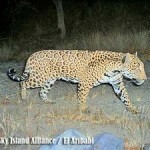 They’ve caught pictures of rare and elusive jaguars. 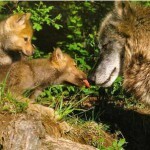 You can support them with a visit. Coatis possible. 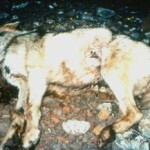 A 6th Mexican gray wolf found dead this year, the 5th that died suspiciously. That’s 14% of the tiny population. 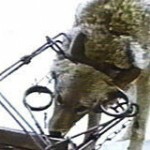 Arizona Fish and Game says they’ll release a lone wolf soon, but don’t hold your breath.